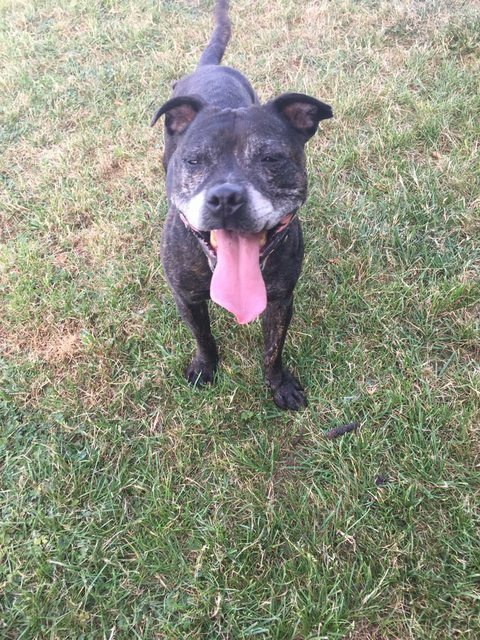 Rosie is a 7 year old Staffordshire Bull Terrier girl who loves to play ball and has that famous Staffordshire Bull Terrier woogle off to a fine art! She is OK with other calm dogs and is a firm friend of Basil, but if she meets one who is reactive she will stand her ground and shout the odds. She is doing really well in kennels and is becoming more confident and not so concerned about other dogs and we can help you to continue this great work with ongoing advice and support.